Email newsletters are an incredibly powerful marketing tool. They allow you to communicate directly with your customers so that you can highlight new products or services, advertise special promotions, and deliver special announcements. By including links to your website and social media platforms, they also help you drive traffic to these sites and increase your connections. Of course, it goes without saying that in order to enjoy these benefits, you have to conduct an effective e-newsletter campaign. 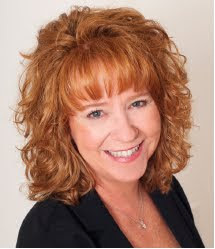 Today, our internet marketing company at the Lake of the Ozarks is here to help you build a top-notch e-newsletter with these seven tips. Why do consumers read newsletters? To get quality information that is interesting and useful to them. If your newsletter does not contain relevant information, you will likely lose readership. Coupon codes, special offers, infographics, helpful tips, how-tos, interesting facts, recipes, and testimonials are examples of quality content to include in your e-newsletter. The average person spends less than one minute reading an email newsletter. 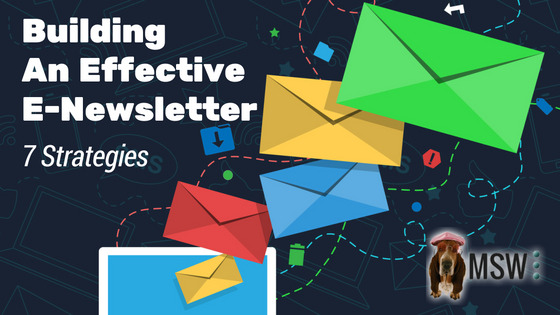 Make the most of this limited time - make your newsletter easy to skim by using boxes, boldfaced type, and other eye-catching tactics to draw attention to your headlines and special announcements. You can expand on your points so that readers can learn more if they are interested, but it's important to make your primary message easily recognizable and accessible. The most effective e-newsletter campaigns are the ones that are steady, reliable, and consistent. It's up to you how frequently you want to send your emails (monthly, bi-monthly, weekly, etc), but we recommend choosing a specific timeline and sticking with it. Your customers will recognize your pattern and will come to expect your campaigns on a regular basis. The amount of readership a specific campaign earns is largely dependent upon the intrigue its subject line offers. Subject lines should be simple, concise, direct, and compelling. 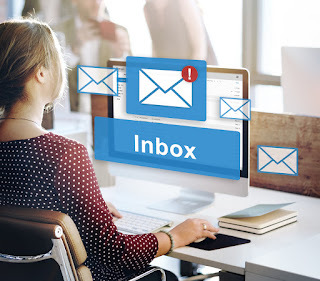 They should tell readers exactly what to expect of the campaign, and they should be written in such a way that generates enough interest to compel your subscribers to open the email. Most likely, your subscribers are a mix of existing and prospective customers. Because your subscribers already have some degree of genuine interest in your products or services, you don't have to make your newsletters as sales-oriented as other advertisements. Instead, build goodwill with your customers by offering helpful, relevant content (see above). Hubspot recommends constructing your newsletters so that they are 90% educational and 10% promotional. When it comes to e-newsletters, less is more. You'll want to make your layout interesting and pleasing to the eye, but you should avoid going overboard on the design front. The best newsletters often feature a simple design scheme (typically no more than 2-3 main colors), are easy to read, and include a clear call-to-action communicating what you want your readers to do. If you are considering starting an e-newsletter campaign or are looking for ways to revamp your existing campaign, our internet marketing company is here to help you. For more information about our e-newsletter marketing services (as well as reasons why maintaining an e-newsletter campaign is a valuable marketing tool), visit us online at www.MSWInteractiveDesigns.com.